Here is your complete guide for Fortnite Season 7 Week 7 Challenges. To complete this challenge, you need to visit all of the Expedition Outposts. 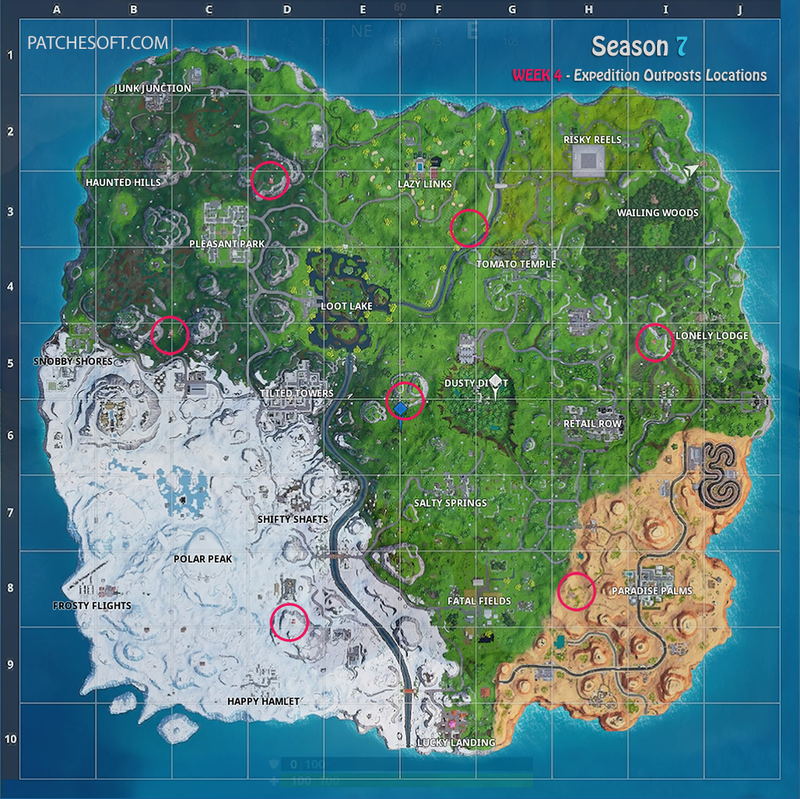 You can use the map below for their locations. This challenge requires you to land in a specific named location. Once you complete the first stage, the next stage will unlock. To complete this challenge, you need to open 7 chests in either Loot Lake or Frosty Flights. To complete this challenge easily, try the Team Rumble game mode, which has a higher chance of chests spawning in and you don't have to worry about the enemy team if your bus flies over these locations. This challenge requires you to destroy a flying X-4 Stormwing. The plane must be flying for this challenge to count. X-4 Stormwings have around 1,000 HP and can be destroyed by all weapons in game. 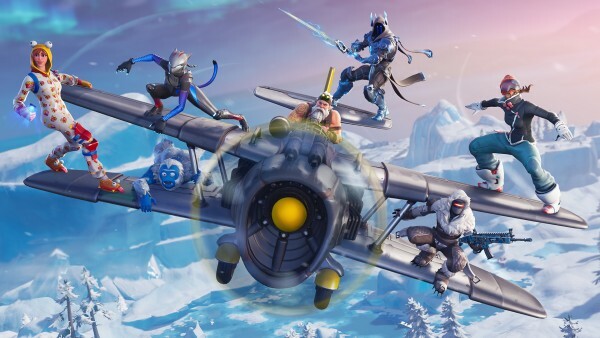 Once the plane reaches 0 HP, the plane will explode and damage the enemy player. This challenge requires you to deal damage to opponents in a single match. Once you complete the first stage, the next stage will unlock. 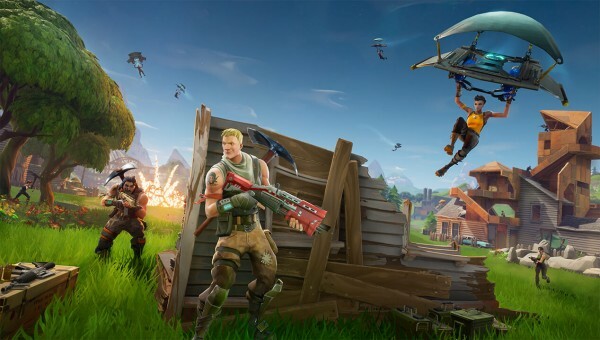 Tip: Play the Team Rumble gamemode which allows you to rack up kills and damage opponents easily as you have unlimited lives. Tips for completing Season 7 Week 7 Challenges?